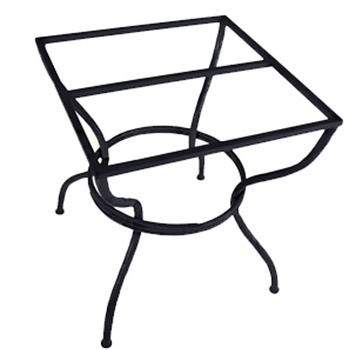 Built to accommodate a 48" top, this sturdy iron table base will support glass, wood, copper, granite or marble tops. If you have a top larger than 48" please contact us for custom pricing. ~ Offering our dining tables as base only, allows you to use your own top or to select from a variety of tops to better match your decor. 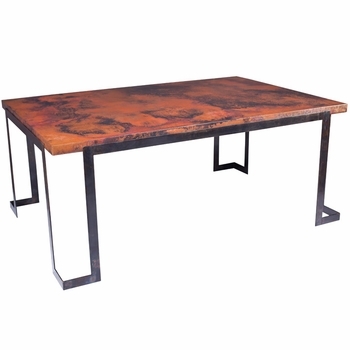 If you need a top for your table base take a look at our complete Dining Tables or view our Table Top Collection. Finish: The (Standard) finish is Natural Black. A variety of upgraded finishes are available ~ Click on the options tab to view. Contains: This piece is sold as a base only - the top is not included. Black is the standard finish. Premium finishes are available for an up-charge in price. Select the photo for more detailed information and enlarged views.